This year’s theme for World Water Day, ‘Leaving no one behind’, adapts the central promise of the 2030 Agenda for Sustainable Development that as sustainable development progresses, everyone must benefit. Together with access to sanitation, safe water underpins public health and is therefore critical to sustainable development and a stable and prosperous world. Use these resources to start a conversation and inspire action. Gather people together to share ideas and make them grow. Hold or attend an event to make personal connections that could make a difference to people living without safe water. 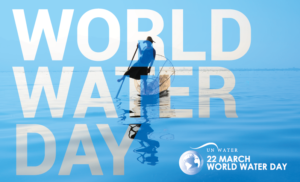 Use this map to see where a World Water Day event is taking place near you and find out how you could hold an event yourself.